Warm thoughts and a good reminder to start the week on the right foot. A smile goes a long way. I recently started making a conscious effort to smile when I'm talking on the phone (not the entire time). I believe this is reflected in the tone of my voice and have noticed the conversations more light hearted and with laughter. 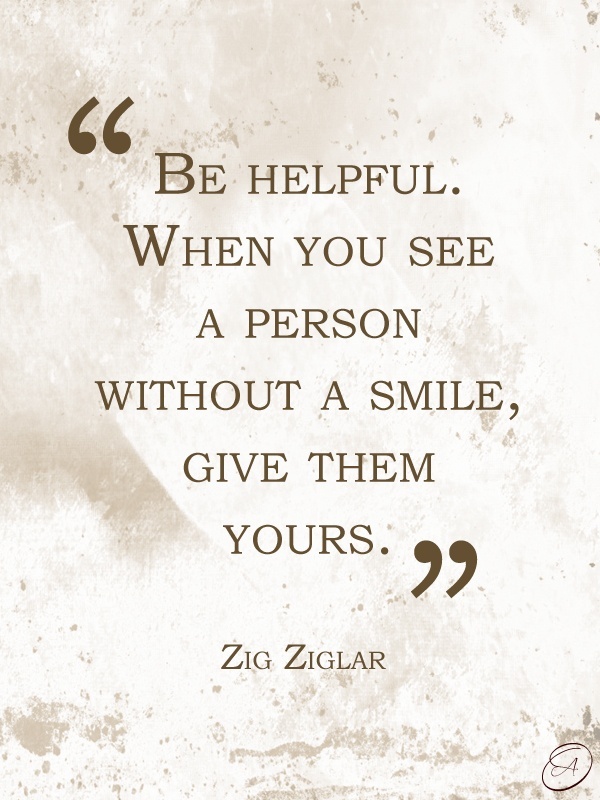 Happy Monday...may your week be filled with smiles!